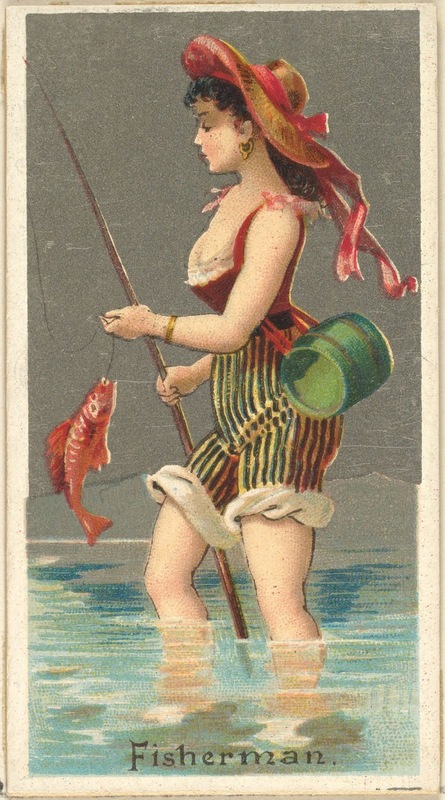 In the spring of 2018, I was asked by Mark Armour and Chris Dial, the founders and co-chairs of SABR's Baseball Card Committee, to give a presentation at their committee meeting as part of the 2018 SABR Convention in Pittsburgh. This is a slightly-updated version of that presentation. 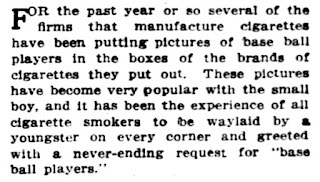 None of the packages of smoking tobacco and fine-cut chewing packages of tobacco and cigarettes prescribed by law shall be permitted to have packed in, or attached to, or connected with, them, any article or thing whatsoever, other than the manufacturers' wrappers and, labels, the internal revenue stamp and the tobacco or cigarettes, respectively, put up therein, on which tax is required to be paid under the internal revenue laws; nor shall there be affixed to, or branded, stamped, marked, written, or printed upon, said packages, or their contents, any promise or offer of, or any order or certificate for, any gift, prize, premium, payment, or reward. Why do this? Because the monopoly known as the American Tobacco Company tried to quash its competition (independent tobacco companies) by giving away goods through this coupon system, something that smaller companies did not have the wherewithal to do. 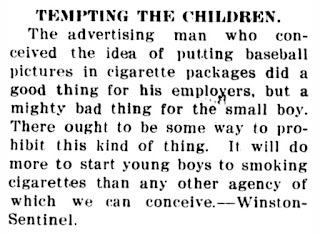 This effectively halted the creation of baseball cards until the act was usurped by the Payne-Aldrich Tariff Act of 1909, which removed the ban on tobacco inserts. 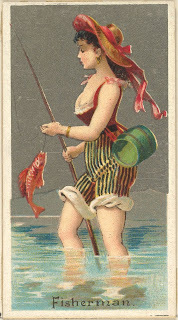 With this new law, baseball (and other cigarette) cards returned ... and with a vengeance. 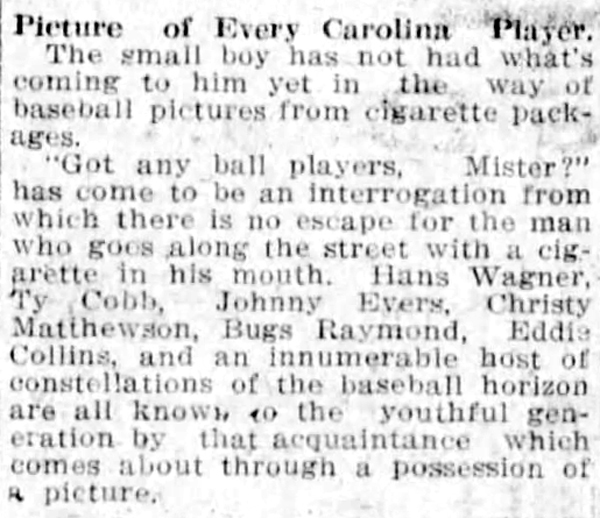 Today, well over a century later, the various baseball card sets of 1909-1911 — the sets known as T204, T205, T206, T207, etc. 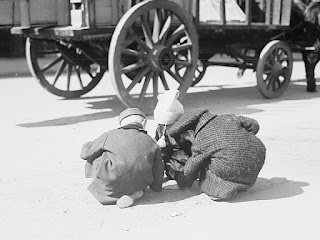 — are prized and celebrated. 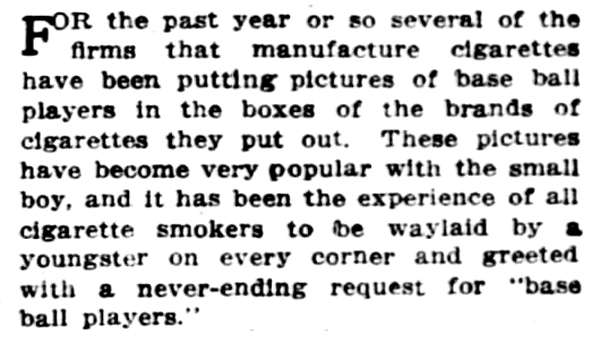 But, as you might expect, baseball card collecting was also quite popular at that time. 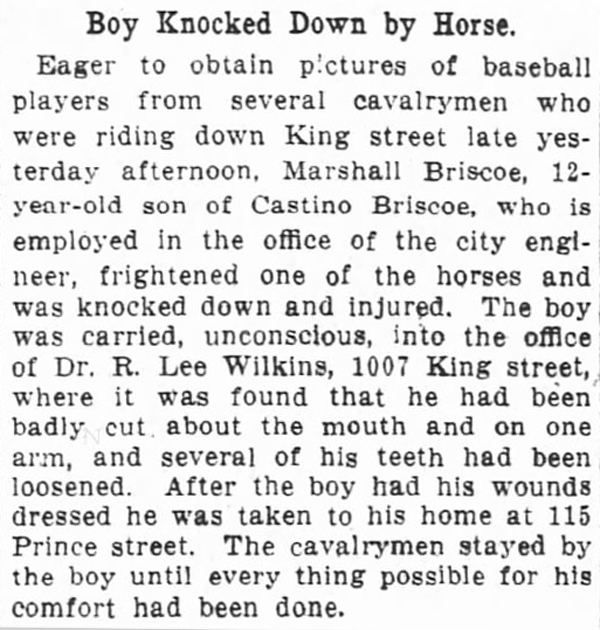 What you may not know is that nearly just as popular was the press expressing great concern that baseball card collecting was dangerous. 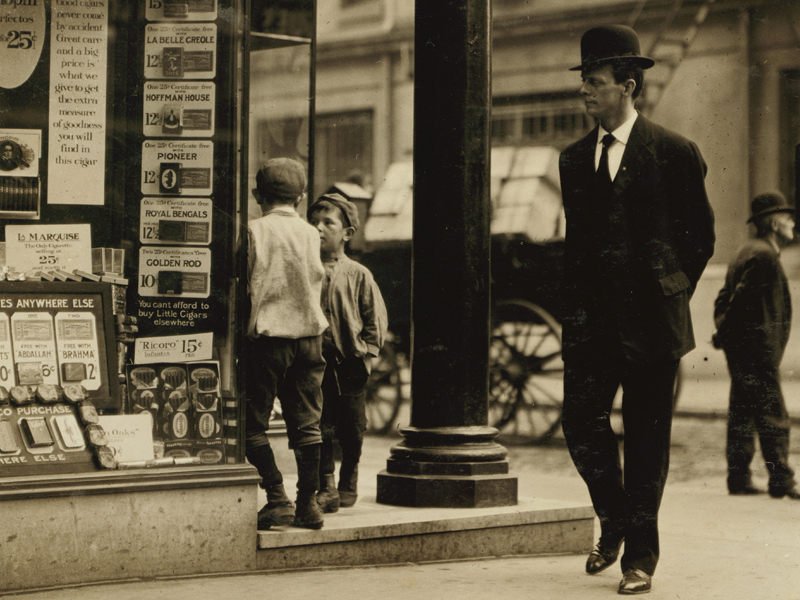 Dangerous to children, dangerous to business owners, and dangerous to society in general. I’ve found dozens of articles detailing dangers (or perceived dangers) of baseball card collecting at and around the time of the return of baseball cards in the 20th century, and these dangers fit into six main categories. 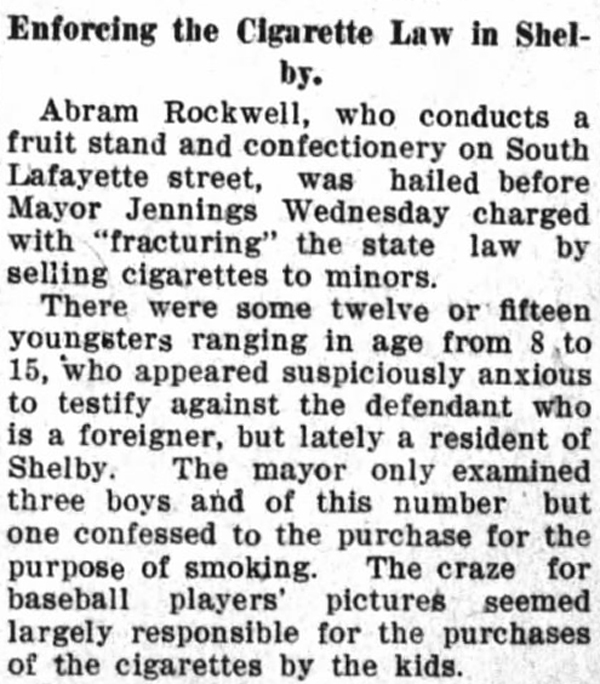 1) Baseball card collecting created a nuisance. 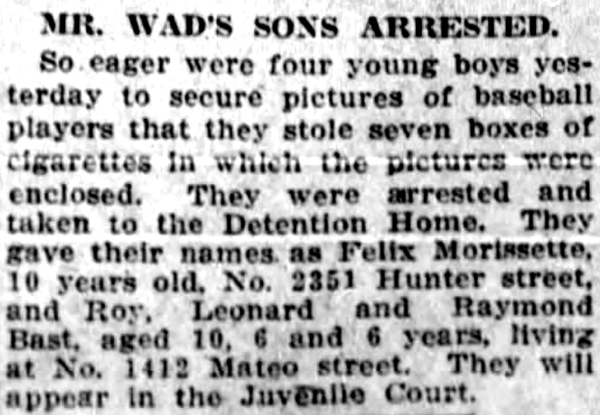 Wagner, Cobb, Evers, Mathewson, Collins ... and Bugs Raymond? 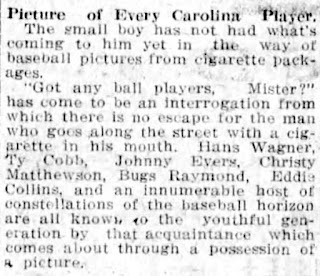 Well, Bugs did have a decent season in 1909, but wouldn't you think they'd tab someone a bit more obvious, like Three Finger Brown or Ed Walsh? 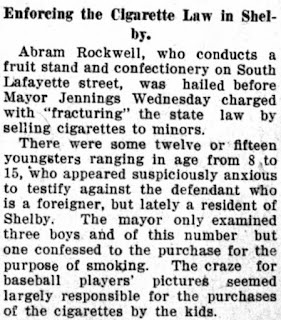 2) Baseball card collecting promoted the illegal purchase of cigarettes by minors. 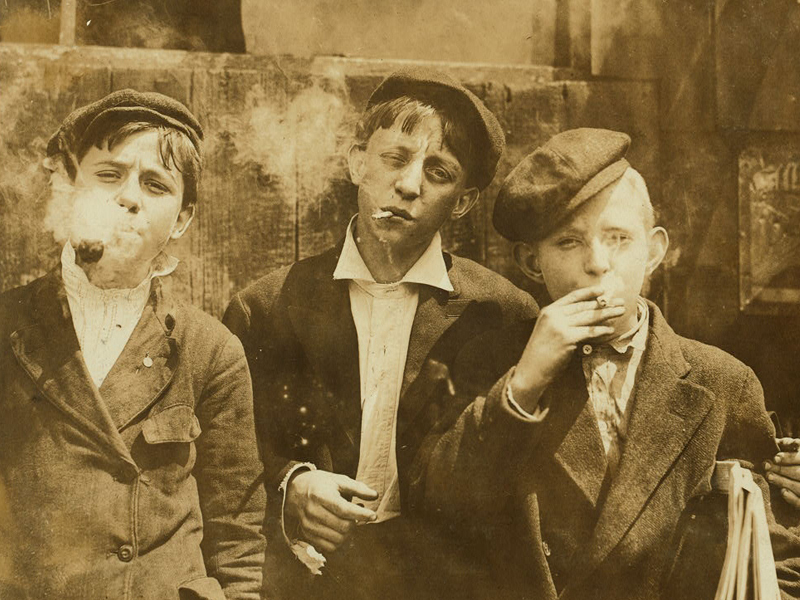 3) As a consequence of purchasing tobacco, children were enticed to become smokers. 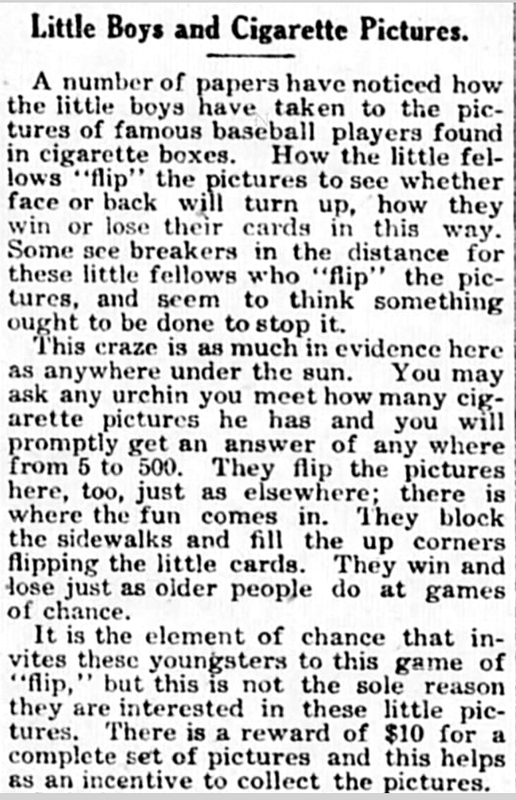 4) Baseball card collecting promoted gambling. 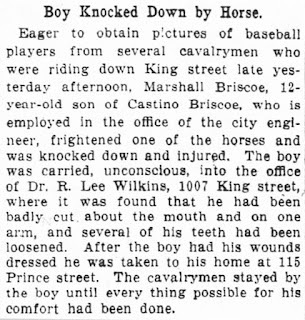 5) Baseball card collecting brought about physical injuries. 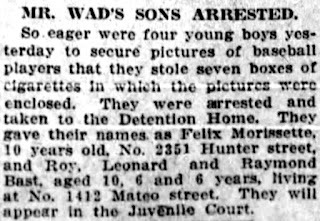 6) And, thanks to baseball card collecting, children became criminals. 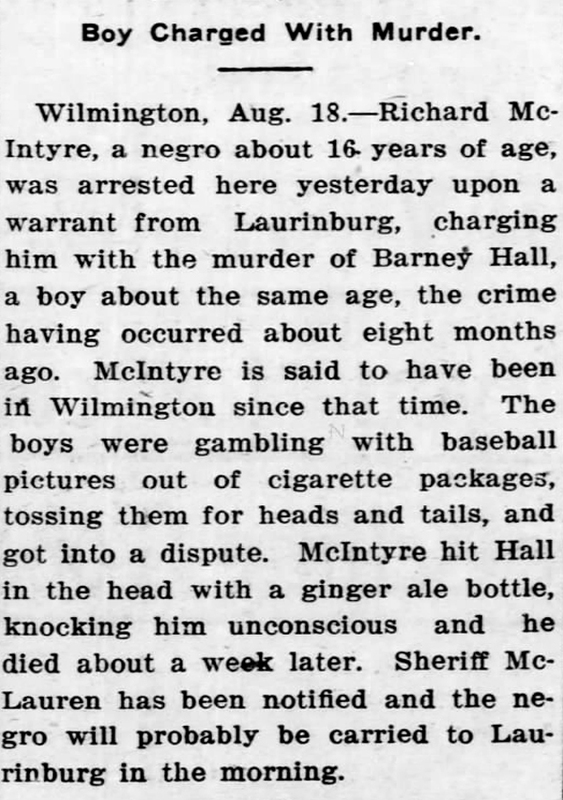 In doing this research, I found these complaints about card collecting in numerous newspapers during the period of 1909 through 1912, with most occurring in 1909 and 1910. 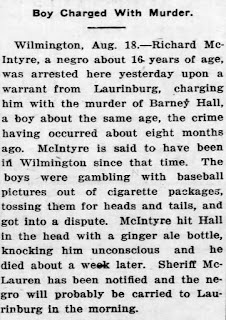 It seems that by 1911, the furor over the evils of baseball card collecting had subsided considerably. 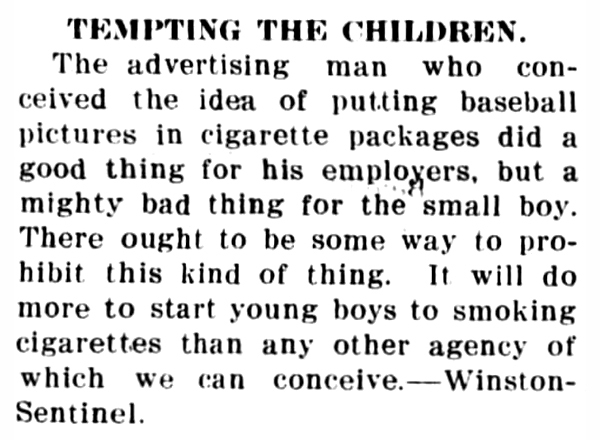 Additionally, the majority of newspapers that railed against the practice were based in major tobacco-producing states, particularly North and South Carolina. Please do! Would love to hear what you learn about him.